Bill DiMasi has been named Vice President, Marketing, at Berkeley College. In this role, he will drive the efforts of the College to promote its Mission and Values through conceptualizing and implementing marketing strategy, including market research and advertising. 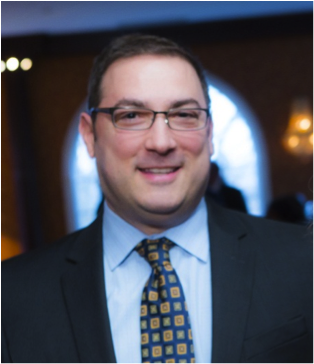 Mr. DiMasi joined Berkeley College in 2007 as Marketing Manager and was named Associate Vice President, Marketing, in 2012. He previously served as Marketing Manager with North Jersey Media Group in Hackensack, NJ; Marketing Communications Specialist with United American Energy Corp. in Woodcliff Lake, NJ; and Account Executive with Alcone Marketing Group, based in Darien, CT.
Mr. DiMasi is a member of the Direct Marketing Association and the American Marketing Association. He is a graduate of Leadership Berkeley, an internal training program that enhances leadership skills. He holds a BS in Marketing/American Studies from Rutgers University; a Webmaster Certificate from New Jersey Institute of Technology; and a Mini-MBA in Digital Marketing from the Rutgers Center for Management Development. A leader in providing career-focused education for more than 80 years, Berkeley College is accredited by the Middle States Commission on Higher Education and enrolls approximately 8,000 students – including more than 900 international students – in its Baccalaureate and Associate degree and Certificate programs. The College has six New Jersey locations – Woodland Park, Paramus, Woodbridge, Newark, Clifton and Dover. In New York there are three locations – Midtown Manhattan, Brooklyn and White Plains. Berkeley College Online® also offers full degree programs. Programs are offered in more than 20 career fields. The website address is www.BerkeleyCollege.edu. Photo Caption: Bill DiMasi has been named Vice President, Marketing, at Berkeley College.